While waiting two months for a place in the boatyard, we began to question whether we were making the right decision to replace the wooden deck. No-one we met regretted getting rid of their teak, and the marinas were full of gleaming teak-less yachts. We watched owners make short work of scrubbing their decks without worrying about damaging the grain. 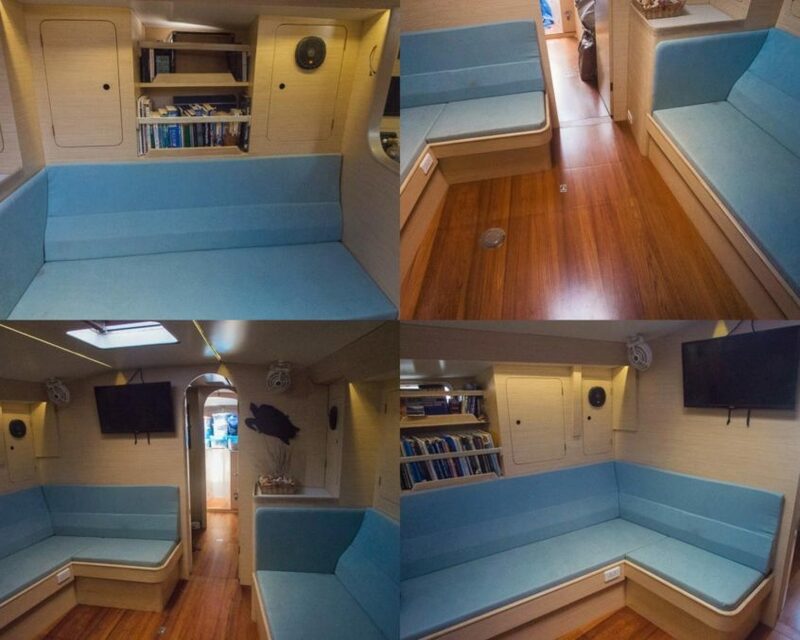 This is the second in our series of articles about SY Esper’s complete refit in Thailand for Sailing Today magazine. The interior of SY Esper, our Oyster 435, took a beating when the saloon hatch broke open during a storm in the Indian Ocean, but the veneer had been steadily deteriorating for some time before that. The first in a series of articles on Esper’s complete refit in Thailand, originally written for Sailing Today magazine. We are reproducing the original articles on FTB complete with new photographs… Remaining on a pontoon in India for two years, despite basic servicing and upkeep, had led to some general deterioration of our boat. But for SY Esper to stand a chance of completing a passage to South Africa, she needed to be in the best possible shape. So we spent a full season planning, servicing and preparing.